S/S Monday, April 28th. Open Houses - Saturday, May 3rd and Sunday, May 4th 2-4pm. OTP May 6th. Look no further! 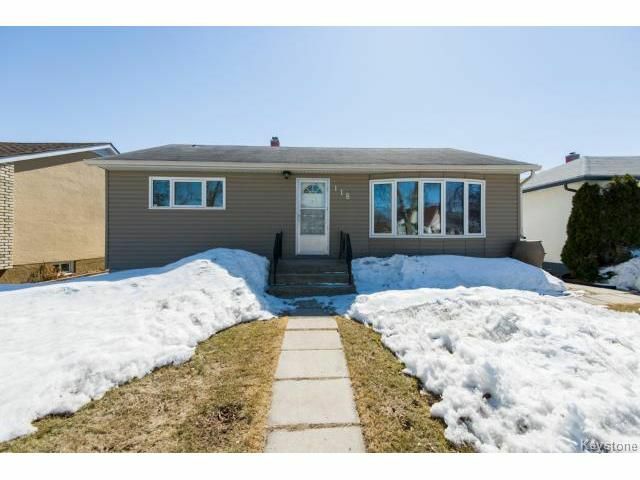 This bright 3 bedroom / 2 bath Transcona bungalow is sure to impress! The home boasts of a newly renovated kitchen complete with superior stainless steel appliances, gorgeous handscraped hardwoods, triple pane windows, an exceptional new cedar ceiling in it's fully finished basement, a sump pump, outdoor hook-ups for gas BBQ, a low maintenance yard, and much,much more... This superb home is walking distance to schools, restaurants, parks and shops. Call your realtor to book an appointment today! !